Heath Tree Service’s ISA Certified Arborists can help you with your trees. A Certified Arborist can make tree care recommendations, provide professional tree trimming service, and expertly remove trees if necessary. James Heath Jr., founder of Heath Tree Service, was the 23rd ISA Certified Arborist in the nation and the first president of the Georgia Arborist Association. “Big Jim” as his friends knew him or “Papa” to his family, referred to himself as the “Tree Doctor”. Certified Arborists are often called “tree doctors” or “tree surgeons” because they are trained and qualified to diagnose and treat trees for a variety of diseases and infestations. ISA Certified Arborist – trained and knowledgeable in all aspects of arboriculture; requires 3+ years of full-time practical employment in arboriculture and/or a degree in arboriculture; follows ISA Code of Ethics; certification is accredited by the American National Standards Institute. ISA Certified Arborist Utility Specialist – tested on topics such as electric utility pruning, program management, integrated vegetation management, electrical knowledge, and storm response; minimum of 2000 hours in electric utility management or 4000 hours as a consultant to a utility. ISA Certified Arborist Municipal Specialist – current ISA Certified Arborist who has chosen municipal arboriculture or urban forestry; obtained an additional 3 years experience managing establishment and maintenance of urban trees; experience in policy planning in a municipal setting. ISA Certified Tree Worker Climber Specialist – tested in both a classroom and field setting; trained in aerial rescue, CPR, and First Aid. ISA Certified Tree Worker Aerial Lift Specialist – trained in CPR and First Aid; tested on ability to perform as competent aerial lift operator and thorough truck and tree inspection. 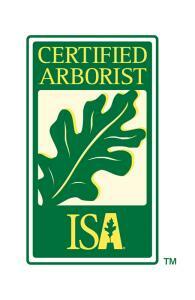 ISA Board Certified Master Arborist – highest level of certification offered; recognized for reaching pinnacle of the profession; extensive scenario-based exam; follows Code of Ethics; only 2% of ISA Certified Arborists hold this title.